A wedding day, for countless couples with a lifetime of shared memories together, is the happiest day of their lives. From the earliest morning moments to the final minutes past midnight and the dawn of a new day and a new life together, a wedding day is nothing but magic from beginning to end. And for us here at SDE Weddings, Toronto’s premier wedding videography, cinematography and photobooth group, our videographers and cinematographers had the utmost pleasure to truly be reminded of just how exhilarating and unforgettable a wedding day experience is from start to finish during our work with Steven & Amanda, a vivacious and energetic young couple who held their fateful wedding day just this previous summer season on August 20th, 2016 with a ceremony of solemn vows held at the beautiful St. Padre Pio Church in Vaughan, just a stone’s throw away from Toronto, and an unbelievably vibrant, kinetic and eclectic celebration held at one of our all-time favourite wedding day venues; Toronto’s very own Liberty Grand Entertainment Complex at Toronto’s breathtaking harbourfront. Our wedding videographers and cinematographers knew from the get-go that Steven & Amanda were a very special couple; having earlier worked on their engagement film (of which you can spot clips of in the included highlight reel) for which the couple had initially visited Toronto’s harbourfront and took a romantic scenic boat tour – sharing many-a-sentimental scene underneath Toronto’s most world-famous skyline. 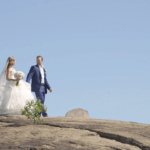 So our videographers and cinematographers knew just how inseparable and unassailable Steven & Amanda were as a couple, and knew just how energetic, exciting and truly life-affirming Steven & Amanda’s wedding day would be. From our namesake same-day-edit showcasing a throwback of the couple’s engagement film and trailing their story all the way to the altar, to the fully finished highlight reel complete with all of our videographers’ and cinematographers’ favorite scenes from the magical day. 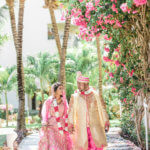 Join us as we recall just how perfectly vibrant Steven & Amanda’s wedding day ceremony and celebration had been, and witness why Steven & Amanda’s unforgettable wedding day would go down among the happiest days of their lives from beginning to end. 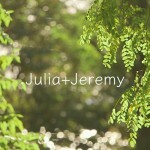 Here is the highlight video that we made for Steve & Amanda’s wedding at the Liberty Grand in Toronto. Our videographers and cinematographers began filming Steven & Amanda’s wedding day at the very early hours of a beautiful summer day in late August, with scenes from Steven & Amanda’s preparations for the long day ahead. An always and ever favourite scene of our videographers and cinematographers was Amanda’s morning reveal to the unforgettable reactions from Amanda’s bridesmaids, a heart-racing moment which you can preview in our attached highlight reel and same day edit. For Steven & Amanda’s wedding ceremony, our videographers and cinematographers made their way to the beautiful St. Padre Pio Church in Vaughan. In the same-day-edit, our videographers and cinematographers took an artistic dive with both a time-lapse and combined aerial drone view of St. Padre Pio Church alongside many of the morning’s memories; a specially made cinematic sequence which would become a hit during the evening’s celebrations. As for the raison d’etre of the day, Steven & Amanda exchanged their solemn vows to roaring applause from the crowd, and we were lucky enough to film a spotless recital of both vows which we had featured in the highlight reel, for a truly heartwarming and sentimental life-changing moment set in stone and immortalized in film in the most loving way by our videographers and cinematographers. And with their wedding vows complete and a newfound life beginning anew, Steven & Amanda would begin their wedding day’s celebration with even more memorable scenes shared with bridesmaids and groomsmen together. On their way to the luxurious Liberty Grand, Steven & Amanda’s group had stopped at the heart of Toronto’s financial district for sight-seeing, snapshots and sentimental scenes for our videographers and cinematographers to capture. A particularly memorable shot was of the couple alongside their bridesmaids and groomsmen at Toronto’s famous Brookfield Place Complex and sharing a snapshot underneath the gorgeous glass and steel atrium; a tremendous scene shared in our included highlight reel and same-day-edit. And for the evening’s celebrations, Steven & Amanda picked a perfect spot, and a favorite of our videographers and cinematographers; the ever-luxurious Liberty Grand Entertainment Complex at Toronto’s always-captivating harbourfront and just steps away from Toronto’s most recognizable hallmarks. In a lively and energetic wedding celebration to match the liveliness and energy that is emblematic of Steven & Amanda’s bond with one another, the wedding day celebrants – family members and friends alike – shared in the undeniably infectious mood of the evening; one of unbounded joy for Steven & Amanda and their newfound life together. A favorite scene from the energetic evening from our videographers and cinematographers was the open dance hall with Steven & Amanda and their guests, all hand in hand, creating a circle of celebrants to fill every spot on the ballroom. And to close a perfect evening’s festivities to match an altogether perfect wedding day, our wedding videographers and cinematographers were truly honoured to have our same-day-edit featured to the applause of Steven & Amanda and their guests. A job well done for an unforgettable day. And with that, we here at SDE Weddings, Toronto’s premier wedding videography, cinematography and photobooth group, wish Steven & Amanda all the very best in their future together. Very seldom do we encounter a couple brimming with such energy and enthusiasm, so it was a genuine honour for us to have worked with them on both their engagement film and wedding day ceremony and celebration. We thank them truly for choosing us to handle their wedding day videography and cinematography, and we hope in the end that our work with Steven & Amanda will always feature prominently in their lives as a token and reminder of one of the happiest days of their lives together.